Creative captures can be created with the simplest tools. This isn’t to say that I don’t have a strong attachment to my fancy camera gear, however I find that lightening the load can be liberating. The more I play with my iPhone as a photographic tool, the more I love it. 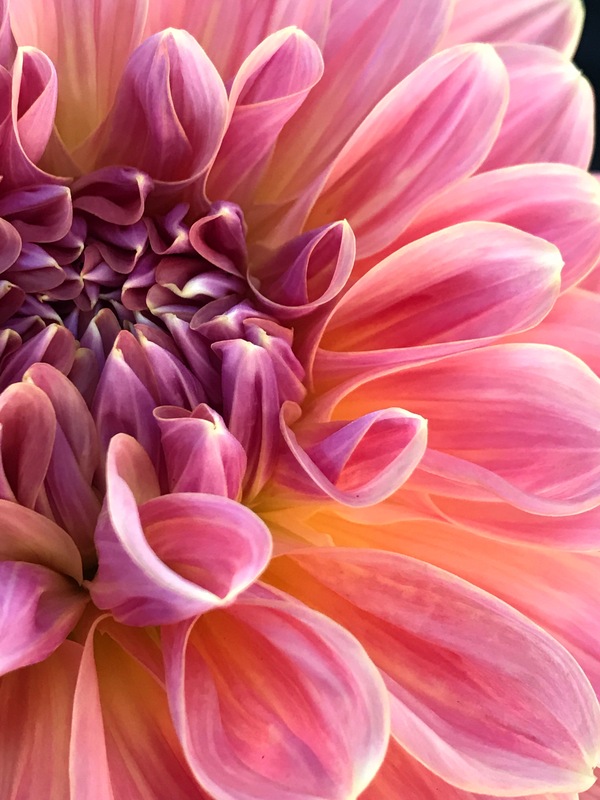 It helps that I get inspired by the accomplished flower photographer Kathleen Clemons Instagram page and enjoying her images just challenges me to try to see what I can do. 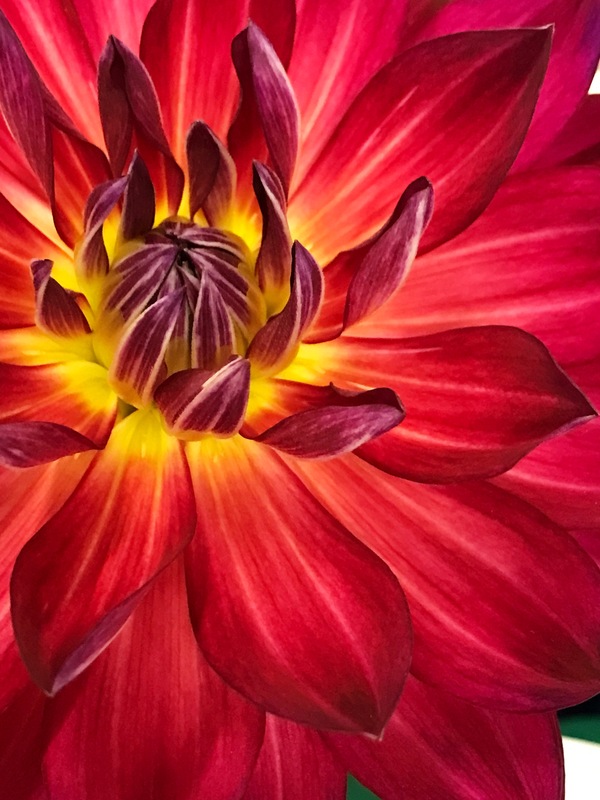 There is a well-known Dahlia farm in Oregon that several photography workshops are offered at, but it’s far for me and finding the free time is difficult. My first idea was to grow my own and I did plant a few but I wasn’t good about care for them. The better idea came to me and I went to the Maryland State Fair and spent a good amount of time in the flower room with a countless variety of Dahlias in gorgeous form. One of the things I wished my iPhone would do is take Macro captures. Lo and behold, there is an app that does that! Camera Plus offers a macro option with image stabilization. Once I gathered a nice collection of images from the State Fair, I’ve been working on an image a day and posting them on my own Instagram page. And now the creative process becomes fun. There are so many different apps available for smart devices for just a couple of dollars, the sky is the limit for what you can do. One series of apps are similar in nature. Formulas, Mextures, and Stackables add texture and grit to your images and with Stackables you can save your recipes for future use. Another app that I really enjoy is DistressFX where you can add birds and trees to your images. So you see..you don’t need a fancy camera to come up with a beautiful piece of digital art. Can’t wait to see what you might create. Wow! These are stunning! Great forms and colours, Emily! I agree. I often leave my big camera behind and opt for my iPhone. 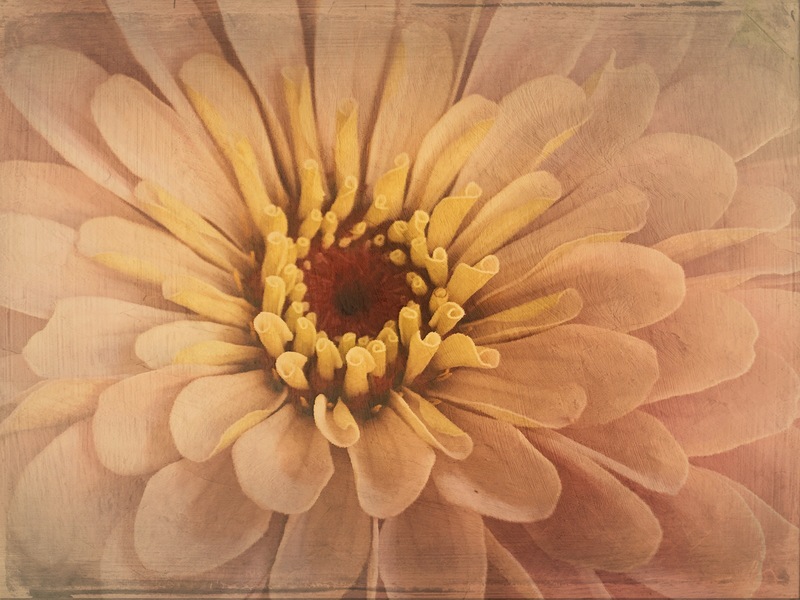 Pingback: Awash in Pink (Flower Friday) | Coffee fuels my photography!